Waukee High School’s ProStart team received second place in the management competition at the High School ProStart competition. 14 teams of aspiring chefs came together to compete in the annual competition to see who would land the top three honors in the culinary and management competitions. “It’s like ‘Top Chef’ in the morning for the culinary teams and ‘Shark Tank’ style in the afternoon where hospitality management students create their own restaurant concept and pitch it to a team of industry professionals,” said May Schaben, the executive director of the Iowa Restaurant Association Education Foundation. 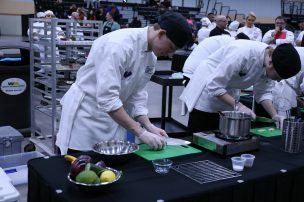 The competition, which is sponsored and hosted by the Iowa Restaurant Association Education Foundation, tests the students’ ability to apply what they’ve learned in their culinary classes and their ability to work together as a team. 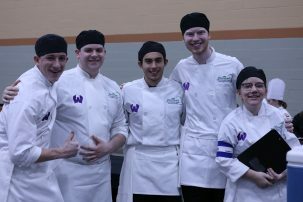 The ProStart program at Waukee High School is headed by Family Consumer Science teacher Laura Calvet and reflects the curriculum of the national ProStart program, which helps transition students from high school to the restaurant industry. For the culinary round of the ProStart competition, Waukee High School ProStart was required to prepare a starter, an entree and a dessert for the judges. Their presentation consisted of a shrimp ceviche, a sirloin matambre and coconut mousse. “ProStart has taught me the basics of how to actually cook along with techniques to use to enhance the overall product of my food,” Senne said. ProStart students must first pass level one and two exams and complete 400 hours of mentored work experience in order to receive their work certificate. 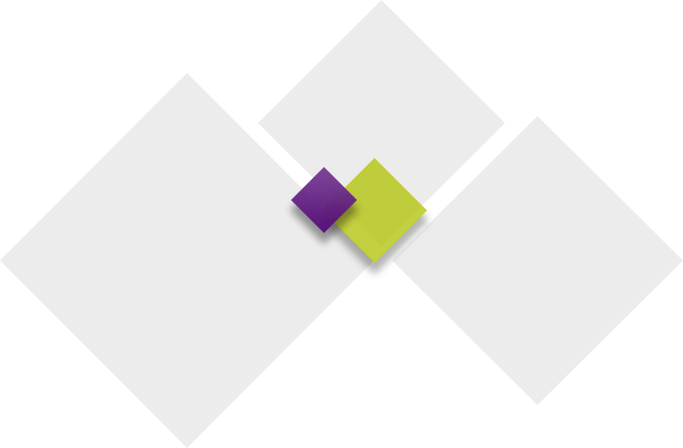 Students can retrieve several credit hours from colleges thanks to the ProStart program certification. 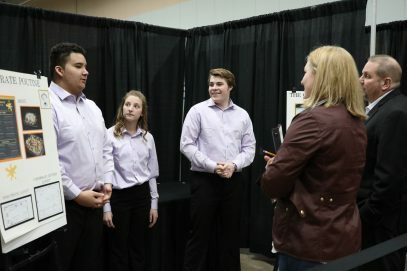 The Waukee High School Prostart students present their restaurant concept to the judges. 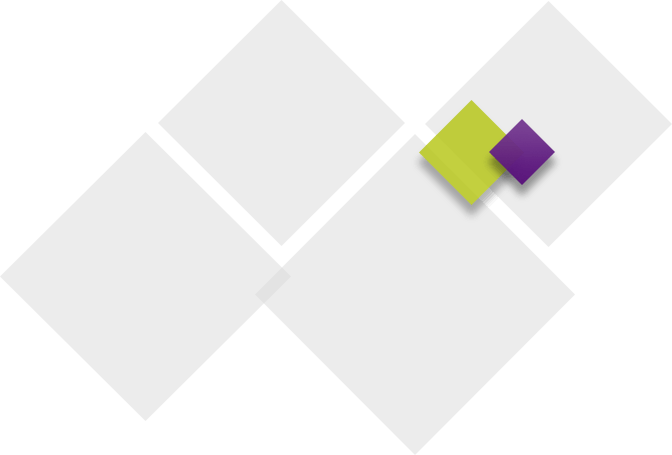 This idea would earn them second place. The dishes Waukee High School students prepared for the culinary portion of the Iowa Prostart competition. The students with their instructor Laura Calvert after receiving second place in the management category. Seniors Jake Senne and Ben Parks preparing vegetables during the culinary portion of the competition. The Waukee High School Prostart students after completing their dishes for the judges.